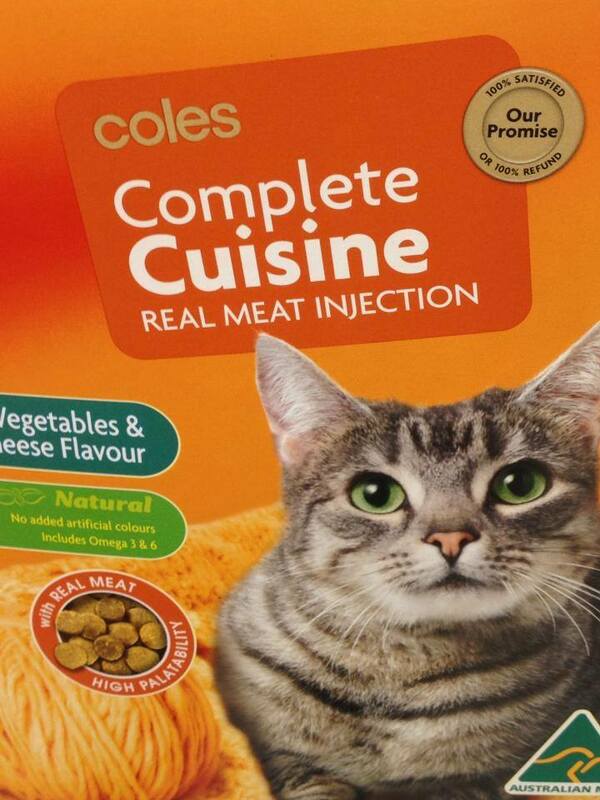 While shopping for cat food in Coles I found the following product, Coles Complete Cuisine, Real Meat Injection. 1. Why would I want to give my cat a Real Meat Injection? This sounds like the kind of offer one receives at a backpacker bar. 2. HIGH “PALATABILITY”- I’m pretty sure palatability isn’t a word. Also, since it is food, I would assume that it’s palatable, for the cat at least. No need to make up a word to tell me about it. 3. 100% SATISFIED or 100% REFUND — How does one judge cat food unsatisfactory? I am willing to bet that no one has successfully wrangled a refund for Coles Complete Cuisine Real Meat Injection. If anyone has, I want to know who they are and how they managed to prove that they were not satisfied with cat food. Then I will hire them as my attorney. Long story short, despite the dismal product marketing, I am a huge fan of Vegetable and Cheese (not to mention Real Meat Injections) so I bought 7 boxes… all in the hope that I’ll be 100% satisfied.